From the When Life Gives You Lemons … Drink Limoncello Series. Part 6: When Life Gives You Lemons … Make Lemon Curd from the Leftover Limoncello Lemons. or How to Make Lemon Curd. You thought I was done with the whole lemon thing, didn’t you? Well, honestly, I don’t know if I’ll ever be done with the lemon thing. There is just so much to love about lemons. But I thought to add one more Bonus Round to the series. 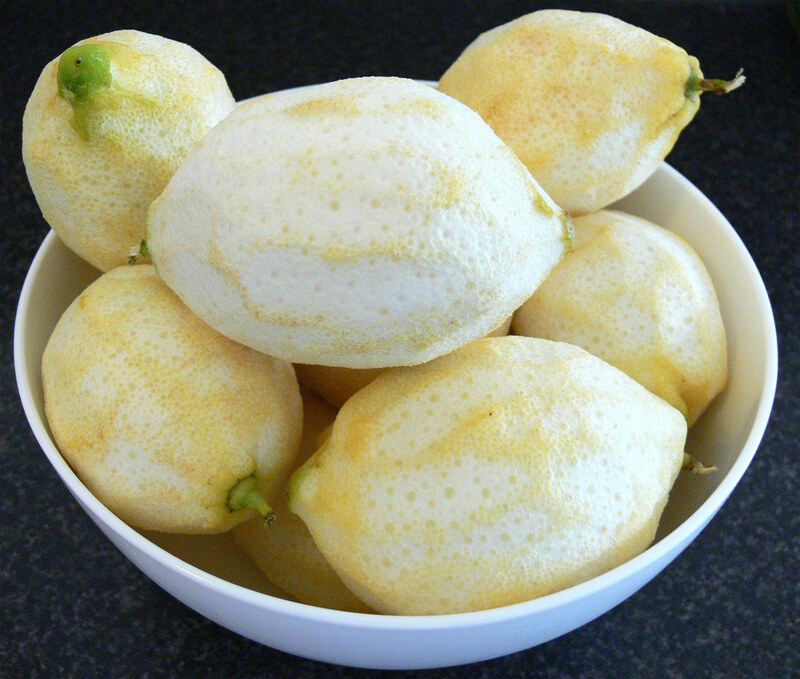 If you do decide to make your own limoncello (and I hope you do) you may find yourself with a mountain of naked lemons. Lemons that you took much time and care to grow and nurture only to find that it was just their peels that was needed to make the, admittedly awesome, limoncello I’ve been rabbiting on about for so long. Such a waste to not have a purpose for the rest of the lemons, right? Again, you can go back to squeezing lemon juice over everything in sight (lemon juice is great as a cleaning product, too. Here are 24 Things You Can Clean With Lemon) but my favourite thing to do is to turn them in to lemon curd. Naked lemons. Kinda sad, right? Ina Garten has a great recipe here but I feel there is a lot of equipment I have to wash up once done (food processor, saucepans, extra mixing bowls). I’d rather take the easy way out and do it all in one bowl in the microwave. I’m afraid I wrote this recipe down from a library book and have lost the citation. Let me know what it is if you happen to know it. 1/2 cup unsalted butter, melted. In a microwave safe bowl, whisk together the sugar and eggs until smooth. Stir in lemon juice, zest, and butter. Cook in microwave for 1 minute intervals, stirring after each minute until mixture is thick enough to coat the back of a spoon. Remove from microwave and pour in to small sterile jars. Store for up to 3 weeks in the refrigerator. I’ve never had it last longer than 3 weeks because it has all been eaten up so fast but I would imagine it would keep like any other butter product, even longer in the freezer. It is heavenly on crepes and toast, in tarts and jelly rolls, between mini merigues topped with softly whipped heavy cream, or as a filling for lemon bars. So many uses! But for me, I find it most delicious when eaten straight from the jar with a spoon. Yum! Another great gift for those you love. Make some lemon curd. I promise you, you won’t regret it. I love reading about people’s curds, jellies and jams. Wonder if there is a lower sugar alternative? What would happen if I only added half a cup of sugar? It would probably be fine from an end product point of view, don’t you think? Just more tart than usual but I don’t think that would matter much if you used Meyer lemons as they are so much sweeter than regular lemons. Probably a good compromise, actually – the naturally sweeter lemon with just half the sugar. I think I’ll try this next time! Alternatively, you could try something like Trulia (Stevia) or agave as a sugar substitute. 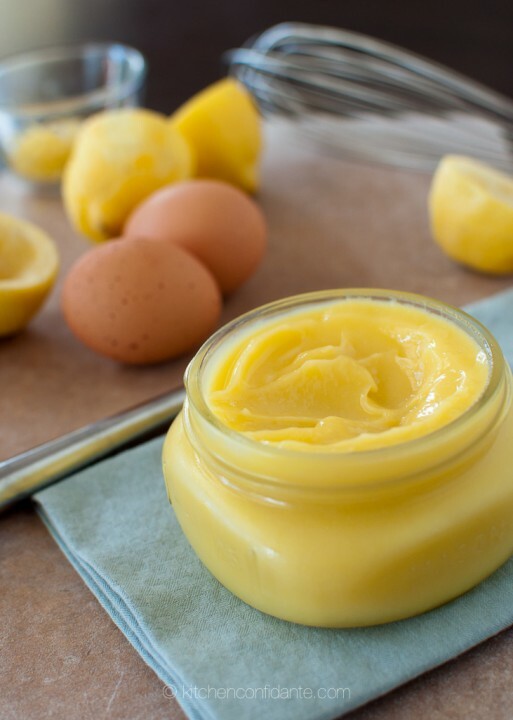 I did find a dairy free, honey sweetened lemon curd which I thought could work for you. It uses coconut oil instead of butter as the emulsifier. I know you try to avoid dairy so might work better. Don’t know how the honey would taste through the lemon, although I love the flavour of lemon and honey together. Might be worth trying? Yum!